INTERVIEW: Tye Sheridan and Nikola Todorovic, Creators of Aether Inc.
John Bucher is an award-winning writer and narrative consultant based out of Los Angeles, California. He is a regular contributor to VirtualRealityPop.com, LA-Screenwriter.com, HBO.com, and MovieMaker Magazine. He co-hosts The Inside Out Story Podcast, The Westworld Watch Podcast, and currently teaches at the LA Film Studies Center, where he leads courses in Virtual Reality storytelling and filmmaking. A popular speaker, John has given talks on five continents regarding story, technology, and art. He is completing a PhD in mythology and depth psychology and is the author of several books including Master of the Cinematic Universe: The Secret Code For Writing in the New World of Media, Storytelling By the Numbers, and The Inside Out Story. 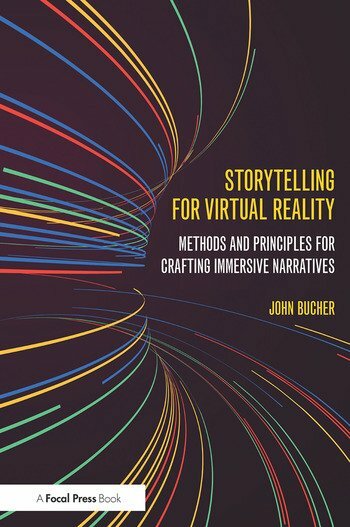 He can be found on-line at his site, tellingabetterstory.com, and on social media @johnkbucher.